Summer is the time where kids should have a break and get to have loads of fun and relax. 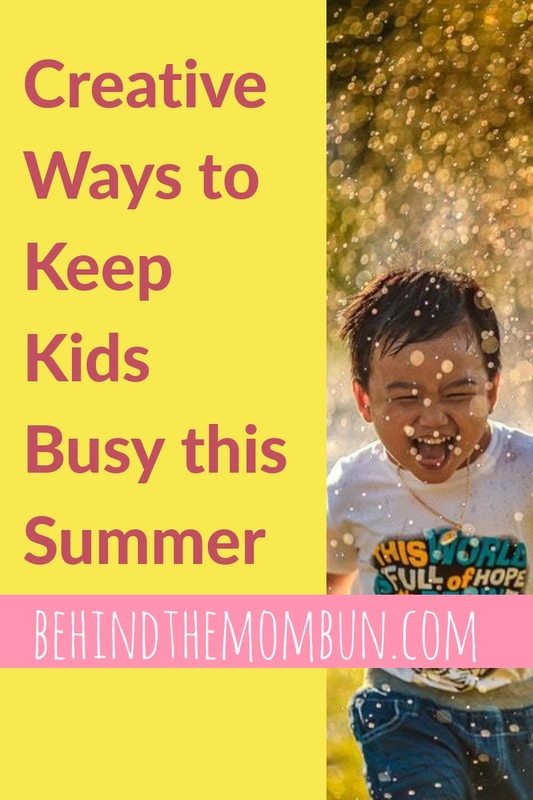 If you are looking for creative ways to keep kids busy in the summer check out my list below. Some of these ways to have fun even involve learning! These fun ideas will help curb boredom before it even has a chance to start. What I like to do is create a calendar and put ideas of what we could do for the day. Or create a list and place on the fridge so that we can refer to it. Then when you here they are bored, give them a handful of ideas. 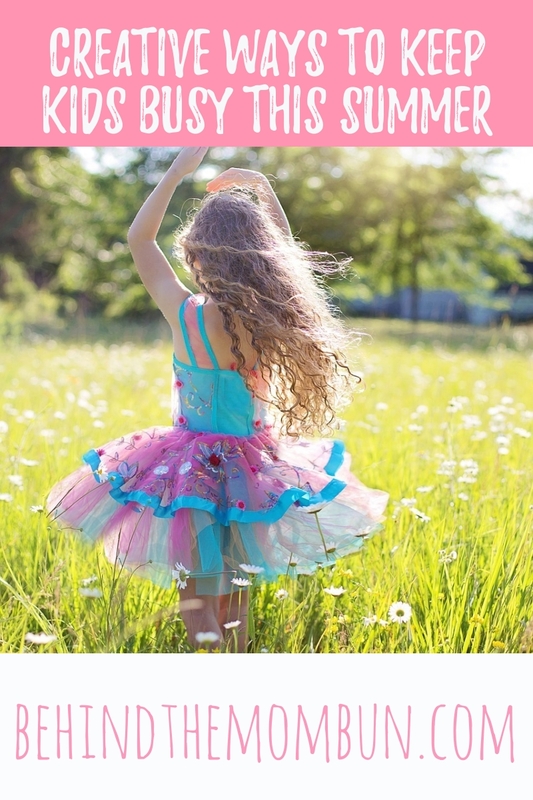 If, you have a little bit older kids they might enjoy helping pick some ideas of their own. It is a great way to make every single day of summer count, and create lasting memories. 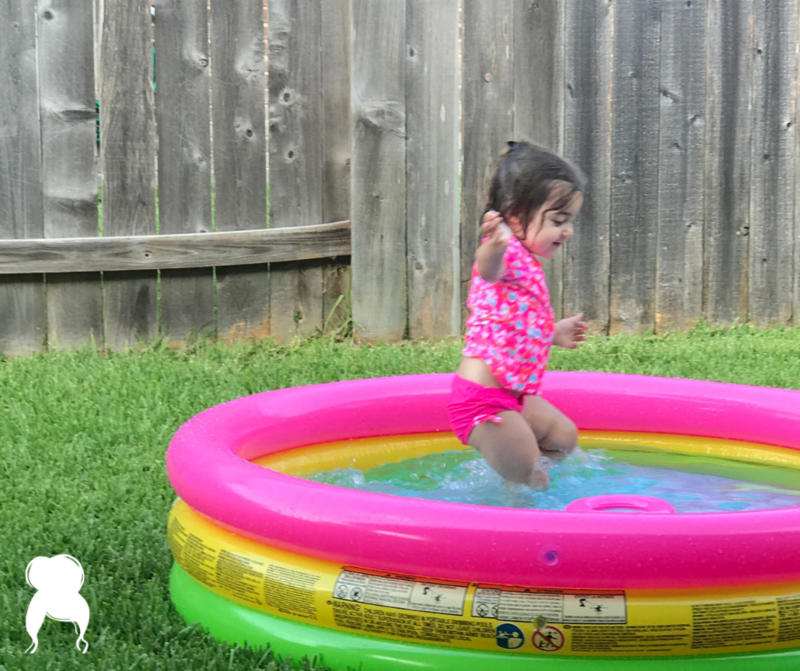 Head out in your backyard and let your kiddo play in the water whether it is with a water table, sprinkler, or even give them a few buckets of water and measuring cups and let them dump and pour. Kids love water, and it is something fun and different. I have even added a little soap to a bin with water and tossed in some fun toys for them to wash up with a washcloth and that kept them busy for an hour. One of our best investments was an inflatable pool. In the summer we used it to beat the heat. When we weren’t using it as a pool we filled it with plastic balls and made our very own ball pit. Grab some toy trucks and a big sheet of white paper and let your child paint with the wheels of the toy trucks. Add little drops of paint all over the paper, then hand them a few cars for them to drive all over the paper. When the truck’s tires get in the paint, it will leave wheel marks. An enjoyable activity to do outdoors in the shade. Head outdoors and create a scavenger hunt. Do this in your backyard or even around your neighborhood. Then at the end, you could have a small treat waiting for them like a toy from the dollar section at a store or a tasty treat. 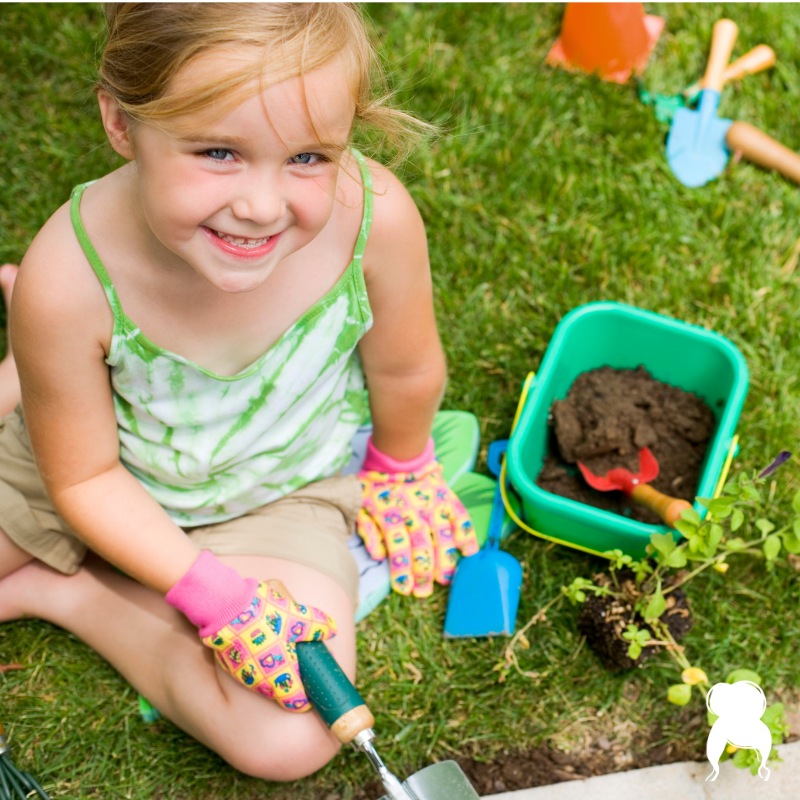 Create a garden that your child can help you with. Whether it be flowers or produce, it is a fun way to get outdoors and unplug from technology for a while. Teach them to plant, pull weeds, water, and enjoy nature. Take time and make a tasty treat with your child. 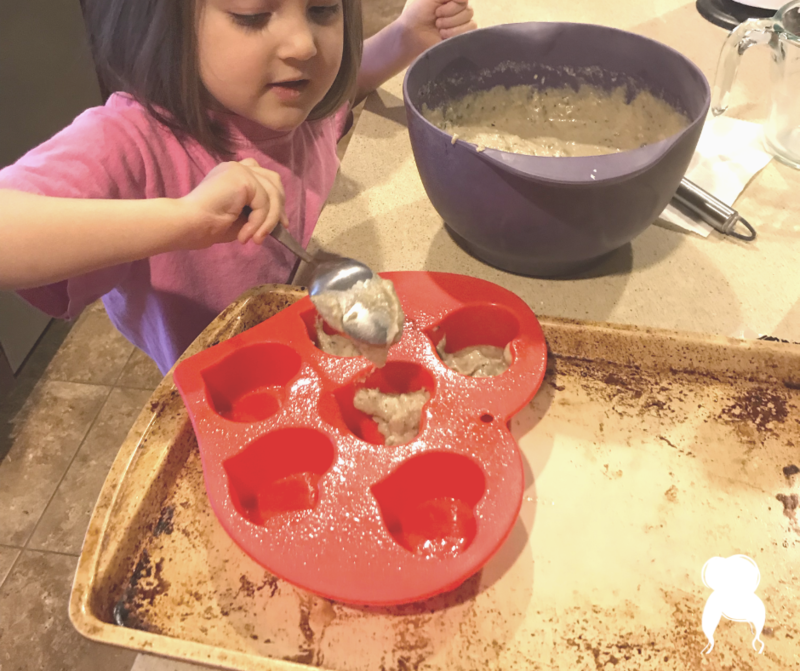 Whether it be cookies, brownies, or even dinner, it is a fun way to let them get their hands dirty in the kitchen. Head outdoors and find things that you can bring in for craft time. Maybe paint some rocks you saw in the driveway, or leaves you can draw pictures on. Get creative. If you don’t have much nature around you, take a trip to a park. Create a reading club list for them to accomplish. Visit as many pools and parks as you can over the summer. Go to a farmer’s market for goodies to buy to make a meal. Create crafts out of paper plates (Pinterest has a ton of ideas). Make an obstacle course in your yard. Have time to sit down and play board games. Create sensory bins for your child to play in. Dress up in mom and dad’s clothes and imaginary play. Stay in a hotel for a weekend for a little trip. Visit a library for the day. Head out to a museum or aquarium. Make a craft station with lots of supplies that they can make anything they can think of. Create a bucket list for summer. Go on a nature walk and look for animal tracks and birds. Do a puppet show as a family. Play games like tag, hopscotch, etc. outdoors. What is your favorite thing to do with your kids in the summer?